Yes, it is probably over for good! Abbath has finally parted ways with Demonaz and Horgh after prolonged legal issues concerning the rights of the Immortal name. The legal battles have been going on since 2014, with the band not releasing any material since 2010. This is not the first time Immortal splits; the band witnessed a split back in 2003 due to “personal reasons”, and reunited again in 2006. 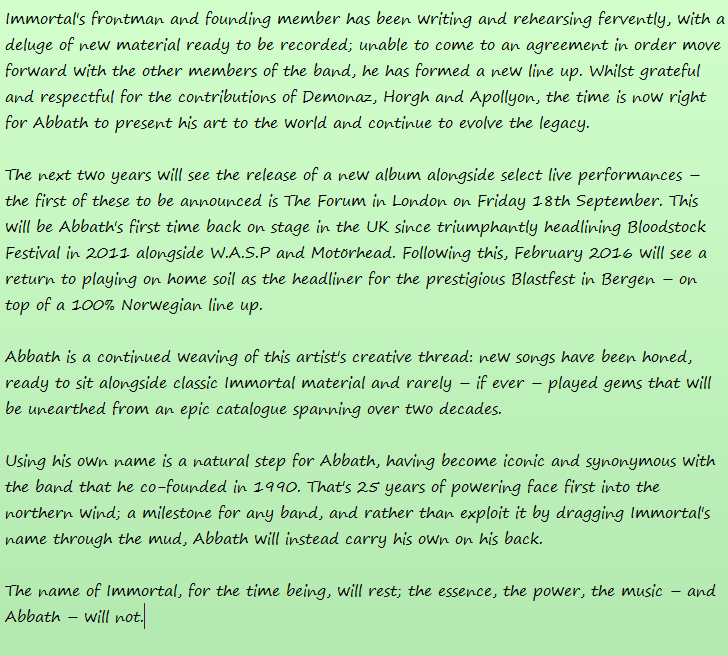 Meanwhile, Abbath will continue as a solo musician, performing his own material along with classical Immortal tracks. Do you think Immortal will reunite after this break? Share your opinions with us.